Accepted up to 6 months in advance. Bowling, Paint Ball, Aquatic center, Propane, Tennis. This travel camp has nine campsites which were designed to blend in with the beautiful flora and fauna, which surrounds Lake Eustis. It is old and park on gravel road which we heard every vehicle drive by our bedroom slide. Water and electric was on wrong side. Looks like they cater to long term. We had no problems there. It was a good place to stay for a few days. They had swing sets for kids but were filthy. We would go back there but would look elsewhere first. Nothing bad to say about the place but nothing interesting there either except it is close to expensive Williamsburg. Stayed here for a week and will be back. Yes there are some issues i.e. the utilities hook-ups are all screwy i.e. our water and elect is on the right side of the coach and the sewer's on the left side, no big deal just run hose n power cords under the coach. Yes there are more homesteaders then transit campers. Yes the road is gravel, but not really dusty or potholed. Over all staff in office was great and pleasant to deal with, made 2 suggestions, 1) they need a map of the campground to show where and how to get to your site, and 2) a map of the base with i.e. PX Commissary, and other items on it would be nice. As to previous post about a lot of turns to get here, once on base I made a right, a left, a right and then a left, not hard at all. As to the homesteaders, this seems to be a common issue in most if not all Family Camps no matter the branch. 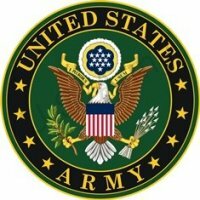 In one aspect I can see it because FamCamps are a Non-Appropriated Fund function and they need to break even of show a profit in order to stay viable and continue their mission to support the troops. In this aspect having homesteaders provides them with a steady stream of funds to continue their mission. I did a drive through this campground today. This is not a place that I would stay unless I had no other options. Fairly easy getting in main gate if you come in with camper stay to the right. There are a lot of stops and turns getting back to the CG, which is in the back corner of base close to the water. 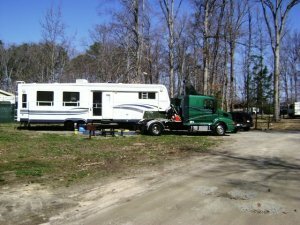 Sites are plenty large enough for anything you are driving or pulling but they are dirt sites. Roads in CG are gravel covered potholes which needs some work. Really nice commissary and exchange on base as well as gas station. Transportation museum is close to main gate as well. This would not be my first choice of places to stay in the area. We did a drive through today. This is not a place that we will stay at. From observation I would agree w/review on 7/12/2013. Hard to believe this is a military installation. This really is a trailer lot and not a camping site. This was one of the worst experiences my wife and I have had in more than 4 years of camping. It was our third trip to Ft. Eustis. We had to share hook-ups with a camper who was "pigging" off our site. Therefore, I couldn't seal the sewer which resulted in a terrible odor and thousands of flies. The person who was "pigging" got drunk and came pounding on my door and other camper's doors at 11:00PM. He just wanted to talk. Finally got the sewer fixed. The site is in very poor shape. Most sites filled by very long-term RVs. The command at Fort Eustis has to step in and correct this situation. I got a $60 refund, but my trip was ruined. Make this a true camping site or make it a long-term trailer lot. Second time and last time staying here. Nothing has changed, Noisy... not kept up..... Had to share all hook ups with neighbor..their water line running past front of our unit. 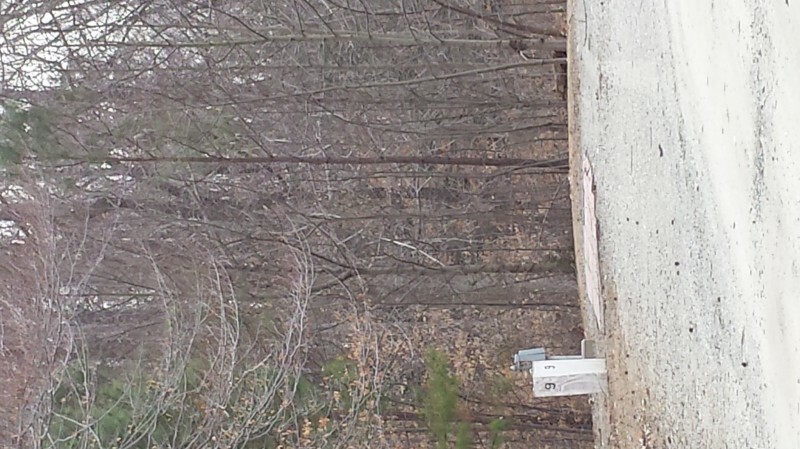 Sewer line running along the back side of unit. Staff friendly and helpful but not their fault. If you are an RV'er this is NOT the place. Taking the kids camping it's o.k. Plain to see that no money in the past has gone into this place to make any improvements. Heavily wooded so no satellite coverage, no cable hook up, antenna reception poor. Would like to occasionally watch news or favorite program in evening. Not a chance. R.L. left this review using the Directory software: - Had no problems making reservations or getting checked in. We were able to add a night at the last moment. It's a decent campground, we stayed in #8, a pull through with plenty of room for our 35' fifth wheel. We just followed the gps through the base, and although it wasn't looking anything like a campground would be there, it was. Got through with no difficulty. We came mostly for the commissary, which is excellent. 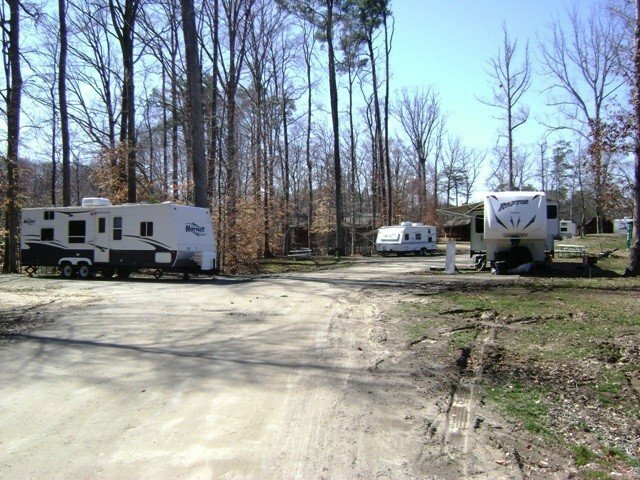 (We ended up not staying at this campground) As fulltime Retired DOD we thought this would be a nice campground to try. But when we called to set up our reservation the lady on duty took all of my information including our arrival & departure times...then asked for my Social Security Number. What??? We've been RVing all over the US and CAN, including military campgrounds and no one has ever requested my SSN. I refused (as everyone should - since even law enforcement says not to give out your SSN to "just anyone") and she said she couldn't take our reservation. I called the MWR Director who told me they are using a civilian software that requires that they input all SSN's and that he had run it past the Jag Officer - they said it was "ok". Well it isn't ok for us and we elected to stay at a different military campground...this one is now off our radar for good! So we feel the over all experience, deserved a 1 star. We arrived just after the Noreastern storm had passed. The only real problem we had was with the reservation system. I called a few days early and was told no SSN, No reservation! After a call to the office of the Director of MWR that problem went away. That office called the FAMCAMP office and told them to make my reservation without the SSN. I hope they can delete this requirement so I don't have to make that call again. The help at the FAMCAMP was very friendly and offered directions to downtown. No map of the Ft Eustis facilities was available at the FAMCAMP office? A local newspaper machine at the office would be a nice addition. No problem with parking our 5th wheel or with the hookups. The park road network was full of muddy potholes that a simple load of stone would fix. There is a terrific little BBQ restaurant next door to the FAMCAMP office with free WIFI 24/7 from their patio. Very nice facility but under used. The only road into or out of the campgrounds is closed during the week from 0630 to 0730 for PT. Don't know how anyone could have problems size-wise. We have a 39' 5W and there are no restrictions driving or parking. Got here mid-nor'easter, so it was very wet and windy. Biggest problem was with reservations--we did get the last space over the weekend. Had a fill-in office guy and he took 45 min to do our reservation. Think he put me on hold whenever someone walked into the office. Biggest heartburn was they wouldn't make a reservation unless I gave them my SS#--said that is how they tracked your reservation. Haven't had any FamCamp require my SS# in several years. In this day and age of ID theft, think it is very wrong to put one's name, address and SS# in one place. When I checked in and complained was told that all the info was safe in their computer!!! Will see the MWR director on Monday if I can and have words. 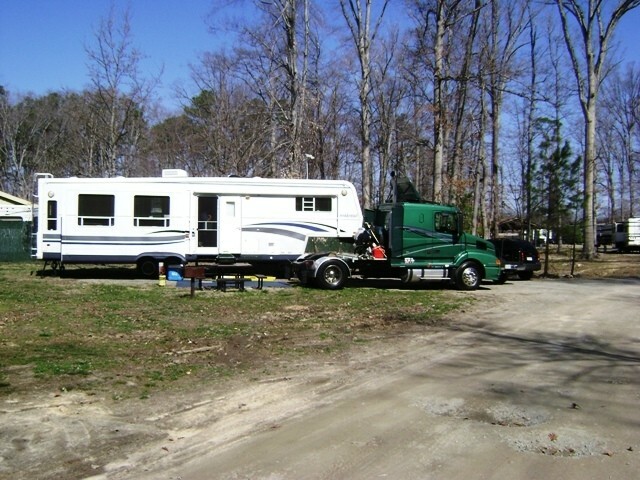 J.C. left this review using the Directory software: Campground needs a lot of TLC. Road is narrow and big rigs will have difficulty. On the plus side, the rates are inexpensive and they have 50 amp service, water and sewer. The Restaurant right by the park is nice and relatively inexpensive. This was our third time here. I was surprised what we found based on the ratings here. Although there are only 9 sites, they are very large, easy to get our 30' tow behind in. It was a easy hook up to water and sewer and out Sat had a clear view to the Southwest side. You need to call ahead for reservations as it fills up fast. The office has limited hours so plan on checking in with the site manger in spot 4. Do not plan to go in and out during PT hours as the road leading in and out is closed. It is close to 64 and travel was easy. 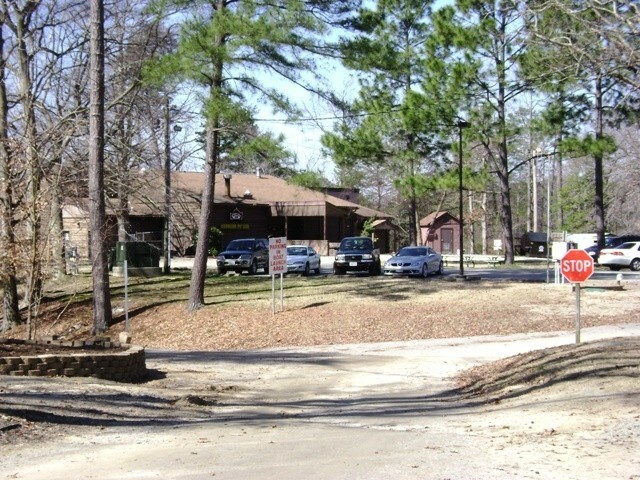 The cost to stay is 1/2 the price of Newport News Camp Ground $18.00 a night, and was a great deal. I highly recommend this facility. This campground has did a 180 degree flip, the homesteaders have been ordered to move on and now equal access to other RVers have granted. They also have a rental trailer section already setup for visitors without an RV. I know I rated this campground hard before but since my last visit I have a change of heart and has already made reservation to return in Sept for my wife's birthday. Good location to the PX, gyms, recreation facilities. Thanks to the Manager that decided to see the right thing for all soldiers and vets who want to have access to their recreational benefits such as this Military campground. P.C. left this review using the Directory software: Changes have been made to the policy, it is set up that you can not stay more than 30 days. 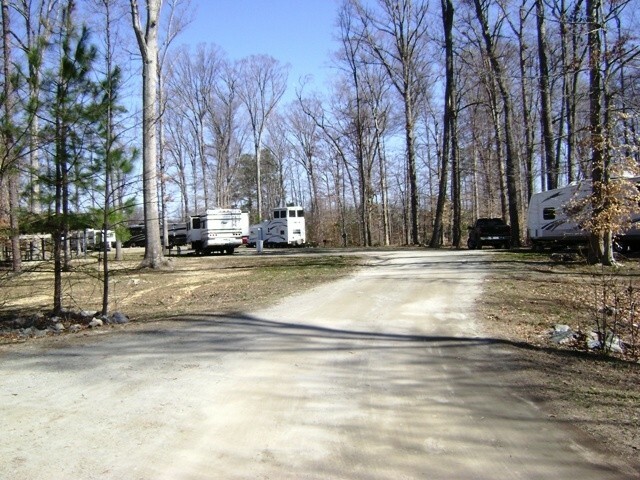 The campground is located close to all the vacation sites. Needs more bathroom facilities and a laundry facilities even though the laundry facilities are within 1.5 miles from the campground. Even prior to the change there were always two or three sites available. The camp area is a 1 star in my book! It is located about a 1/4 mile away from the base club, that is open to 0300 on weekends playing hip hop. The bathrooms/showers and trash recepticles are located on the side of base club. They are also nice enough to piggy back their sites with those that don't leave on time, and still collecting full fare for each user.